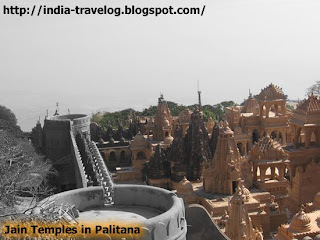 Palitana, a major pilgrimage centre for Jains, is located in the Bhavnagar district of Gujarat. 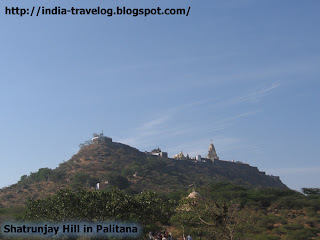 There are around 1300 Jain temples on the Shatrunjaya hills, which are located around 2000 ft above the Palitana city. 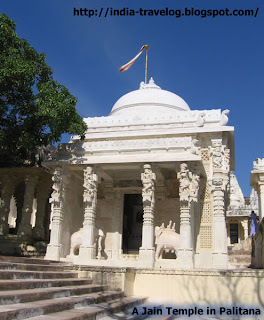 Each temple is an exquisitely carved marble wonder. 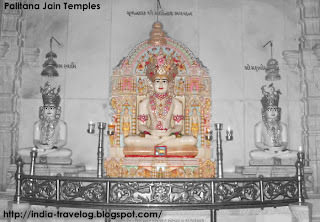 The main temple on top of the hill is dedicated to the first Teerthankar - Lord Adinath. 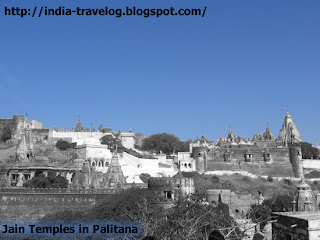 Apart from the temples on the Shatrunjaya Hills, there are hundreds of other temples in Palitana. 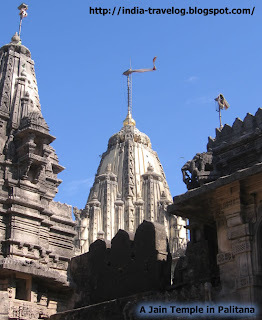 The whole city is full of temples each one a marvel in itself. The carvings are intricate and the work never ceases. 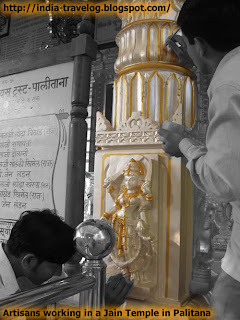 The temples are constantly being renovated. 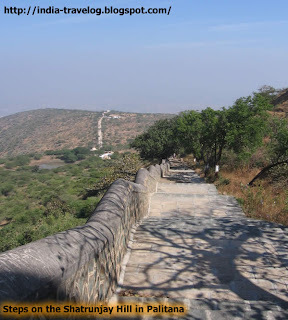 The climb up the Shatrunjaya hills takes you through around 4000 steps - a demanding 3.5 km uphill climb. Much of the pathway is sans any shelter or shade and the higher one climbs - the hotter it gets. That is the reason why most of the pilgrims begin the climb very early in the morning (around 4:00am) so that they reach the top by 8 am. 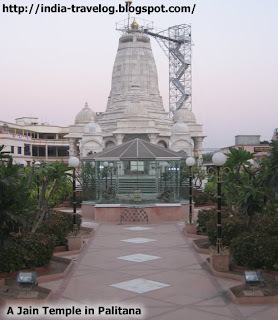 The climb up is tough but because of its sacredness, every pious Jain aspires and does climb to the top of the mountain at least once. For those who are unable to climb the mountain, sling-chairs are available. Porters are also available to carry little kids. Mules also are available to carry luggage. Be careful as to where you keep your feet while on the mountain path. It might be slippery due to various reasons. 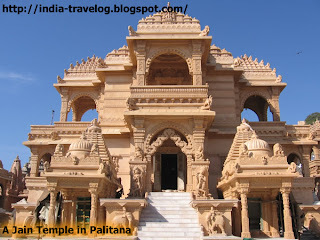 If you are interested in architecture one day is not enough to look and soak in the beauty of these temples. It took us around three hours to complete the climb. On the way there are shelters built at every few hundred steps distance. Drinking water is available at these places. The view from the top is amazing. 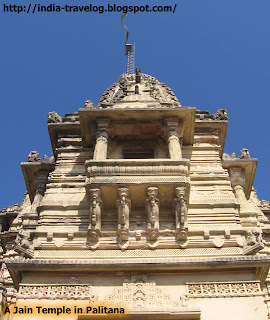 We spent around 4 hours looking at the temples and the architecture. The climb down was also strenuous. Hard on the knees. 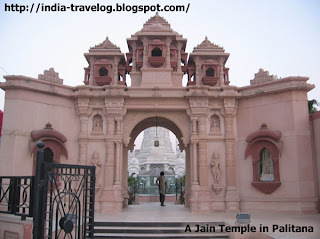 You should see the Jain Sadhvis climbing and descending the hill. They are so quick. Amazing. 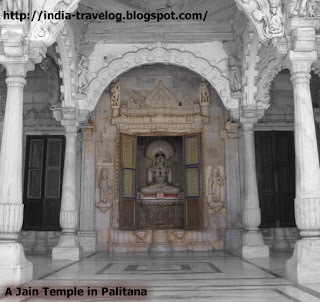 The 108 Samvasaran Jain temple in Palitana has 108 idols and sculptures. A must visit. 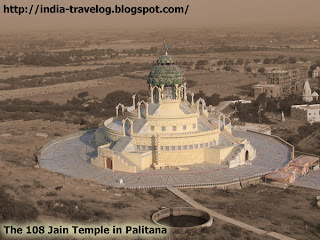 The nearest airport is around 51 kms away from Palitana at Bhavnagar – but there may not be connecting flights to major cities from here. Ahmedabad a little farther away has an international airport. 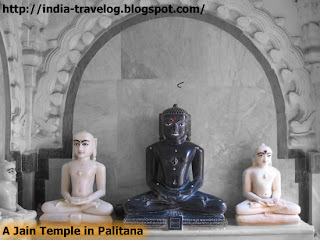 Palitana is connected to Bhavnagar with a railway line. 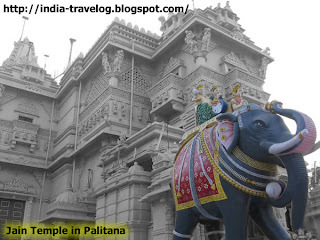 Frequent buses are available from Bhavnagar and Ahmedabad to Palitana. 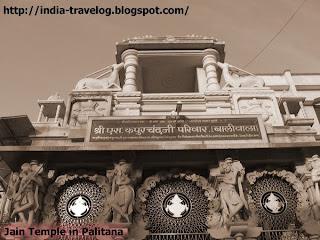 There are innumerable Dharmashalas, guesthouses, hotels in Palitana suiting every budget. Most of the Dharmashalas provide masseur services as the climb can be quite taxing for some. Lots of hotels around serving Punjabi and Gujarati meals. There are lots of Chat Bhandars too. Hi, Thanks for the good information.